The Synthesis Report released by the Intergovernmental Panel on Climate Change (IPCC) on Sunday, November 2, 2014 has affirmed that limiting the effects of climate change raises issues of equity, justice, and fairness and it is increasingly becoming necessary to achieve sustainable development and poverty eradication. continents. If left unchecked, climate change will increase the likelihood of severe, pervasive and irreversible impacts for people and ecosystems. However, options are available to adapt to climate change and implementing stringent mitigations activities can ensure that the impacts of climate change remain within a manageable range, creating a brighter and more sustainable future. These are among the key findings of the Synthesis Report which distils and integrates the findings of the IPCC Fifth Assessment Report produced by over 800 scientists and released over the past 13 months – the most comprehensive assessment of climate change ever undertaken. The Synthesis Report confirms that climate change is being registered around the world and warming of the climate system is unequivocal. Since the 1950s many of the observed changes are unprecedented over decades to millennia. “Our assessment finds that the atmosphere and oceans have warmed, the amount of snow and ice has diminished, sea level has risen and the concentration of carbon dioxide has increased to a level unprecedented in at least the last 800,000 years,” said Thomas Stocker, Co-Chair of IPCC Working Group I. The report expresses with greater certainty than in previous assessments the fact that emissions of greenhouse gases and other anthropogenic drivers have been the dominant cause of observed warming since the mid-20th century. The impacts of climate change have already been felt in recent decades on all continents and across the oceans. The more human activity disrupts the climate, the greater the risks. Continued emissions of greenhouse gases will cause further warming and long-lasting changes in all components of the climate system, increasing the likelihood of widespread and profound impacts affecting all levels of society and the natural world, the report finds. The US Secretary of State, John Kerry, described the report as “another canary in the coal mine”. “Those who choose to ignore or dispute the science so clearly laid out in this report do so at great risk for all of us and for our kids and grandkids,” Mr Kerry said in a statement. The UK Secretary of State for Energy and Climate Change Ed Davey described the report as the “most comprehensive, thorough and robust assessment of climate change ever produced”. “It sends a clear message that should be heard across the world – we must act on climate change now. It’s now up to the politicians – we must safeguard the world for future generations by striking a new climate deal in Paris next year,” he said. 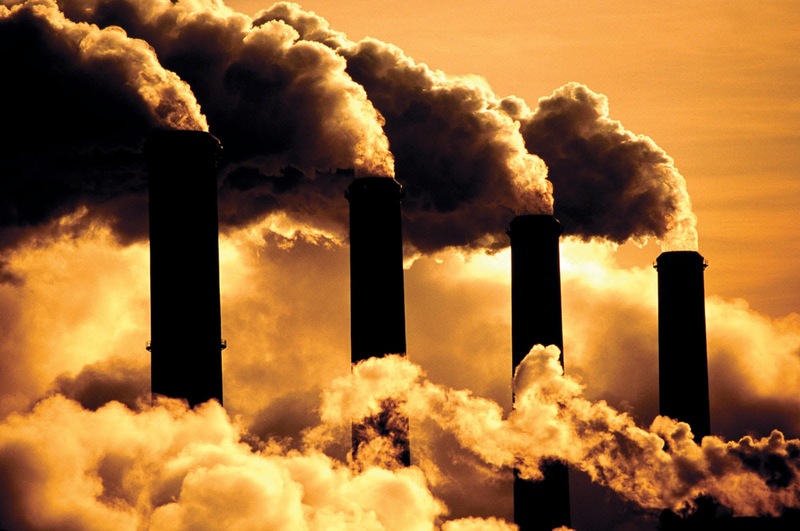 The report says that reducing emissions is crucial if global warming is to be limited to 2C – a target acknowledged in 2009 as the threshold of dangerous climate change. The report suggests renewables will have to grow from their current 30% share to 80% of the power sector by 2050. In the longer term, the report states that fossil fuel power generation without carbon capture and storage (CCS) technology would need to be “phased out almost entirely by 2100”. “Adaptation can play a key role in decreasing these risks,” said Vicente Barros, Co-Chair of IPCC Working Group II. “Adaptation is so important because it can be integrated with the pursuit of development, and can help prepare for the risks to which we are already committed by past emissions and existing infrastructure.” But adaptation alone is not enough. Substantial and sustained reductions of greenhouse gas emissions are at the core of limiting the risks of climate change. And since mitigation reduces the rate as well as the magnitude of warming, it also increases the time available for adaptation to a particular level of climate change, potentially by several decades. There are multiple mitigation pathways to achieve the substantial emissions reductions over the next few decades necessary to limit, with a greater than 66% chance, the warming to 2ºC – the goal set by governments. However, delaying additional mitigation to 2030 will substantially increase the technological, economic, social and institutional challenges associated with limiting the warming over the 21st century to below 2ºC relative to pre-industrial levels, the report finds. The Synthesis Report finds that mitigation cost estimates vary, but that global economic growth would not be strongly affected. In business-as-usual scenarios, consumption – a proxy for economic growth – grows by 1.6 to 3 percent per year over the 21st century. Ambitious mitigation would reduce this by about 0.06 percentage points. “Compared to the imminent risk of irreversible climate change impacts, the risks of mitigation are manageable,” said Sokona. These economic estimates of mitigation costs do not account for the benefits of reduced climate change, nor do they account for the numerous co-benefits associated with human health, livelihoods, and development. capstone of the IPCC Fifth Assessment Report. The first three volumes, based on outlines approved by the IPCC’s 195 member governments in October 2009, were released over the past fourteen months: The Physical Science Basis in September 2013, Impacts, Adaptation and Vulnerability, in March 2014 and Mitigation of Climate Change in April 2014. The Intergovernmental Panel on Climate Change (IPCC) is the world body for assessing the science related to climate change. It was set up in 1988 by the World Meteorological Organisation (WMO) and United Nations Environment Programme (UNEP), endorsed by the United Nations General Assembly, to provide policymakers with regular assessments of the scientific basis of climate change, its impacts and future risks, and options for adaptation and mitigation. 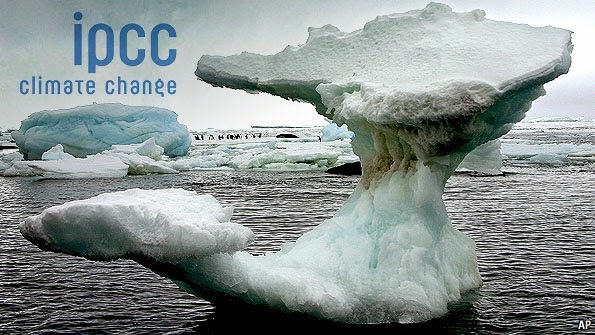 The IPCC offers policymakers a snapshot of what the scientific community understands about climate change. IPCC reports are policy-relevant without being policy-prescriptive. They do not promote particular views or actions. The IPCC evaluates options for policymakers, but it does not tell governments what to do. The IPCC reports draw on the wisdom and dedication of the entire scientific community dealing with climate change, with the involvement of experts from all regions and diverse scientific backgrounds. IPCC authors and reviewers, including the Chair and other elected officials, work as volunteers. They are not paid for their work at the IPCC. Only a dozen permanent staff work in the IPCC’s Secretariat in Geneva. 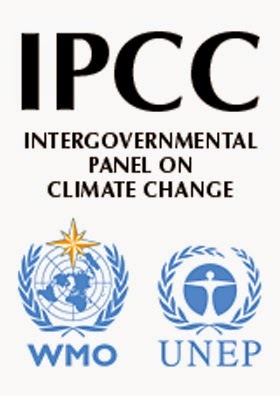 The members of the IPCC, comprising the Panel, are its 195 member governments. They reach consensus in endorsing the reports of the IPCC as comprehensive and balanced assessments of the scientific, technical, and socioeconomic literature. They set its procedures and budget in plenary meetings of the Panel. The word “Intergovernmental” in the organisation’s name reflects this role. It is not a United Nations agency, but was established by two UN organisations – WMO and UNEP. IPCC reports are requested by the Panel and developed by authors drawn from the scientific community in an extensive process of repeated drafting, review, and revision. Scientists and other experts are invited to participate in this review process. The Panel endorses these reports in a dialogue with the scientists who write them. In this discussion the scientists have the last word on scientific accuracy. so. Among its other products it also issues special reports on particular topics requested by its members, and methodology reports and software to help members report their greenhouse gas inventories (emissions minus removals). With the release of the Synthesis Report, the IPCC has now finalised the Fifth Assessment Report (AR5). The AR5 is the most comprehensive assessment of climate change ever undertaken. Over 830 scientists from over 80 countries were selected to form the author teams producing the report. They in turn drew on the work of over 1,000 contributing authors and over 2,000 expert reviewers. AR5 assessed over 30,000 scientific papers. The 1535-page contribution of Working Group I (The Physical Science Basis) to the AR5 was finalised and released in September 2013. The Working Group II contribution (Impacts, Adaptation, and Vulnerability), consisting of Part A: Global and Sectoral Aspects (1132 pages) and Part B: Regional Aspects (688 pages), was finalised and released in March 2014. The Working Group III contribution (Mitigation of Climate Change) of about 1500 pages was finalised and released in April 2014. Working Group I’s Technical Support Unit is hosted by the University of Bern in Switzerland and is supported by the Swiss Government. The Working Group Co-Chairs are Qin Dahe of China and Thomas Stocker of Switzerland. Working Group II’s Technical Support Unit is hosted by the Carnegie Institution for Science in Stanford, California, and is supported by the U.S. Government. Its Co- Chairs are Vicente Barros and Chris Field. Working Group III’s Technical Support Unit is hosted by the Potsdam Institute for Climate Impact Research (PIK) and supported by the Government of Germany. Its Co-Chairs are Ottmar Edenhofer of Germany, Ramón Pichs-Madruga of Cuba and Youba Sokona of Mali. The Synthesis Report is the capstone of an assessment report. As its name implies, it distils, synthesises and integrates the findings of the Working Group contributions into a concise document, of about 100 pages. This integrated approach allows the Synthesis Report to draw on the findings of the three Working Group reports as well as the two Special Reports brought out in 2011. It highlights contrasts and makes comparisons between findings from different Working Groups. These comparisons provide critically important information for policymakers. 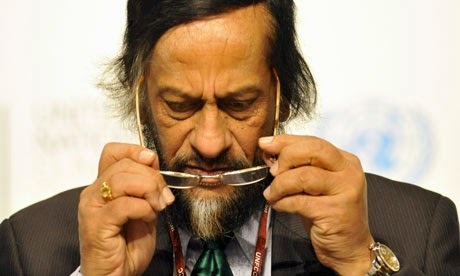 The writing of the Synthesis Report is led by the Chair of the IPCC, R. K. Pachauri. 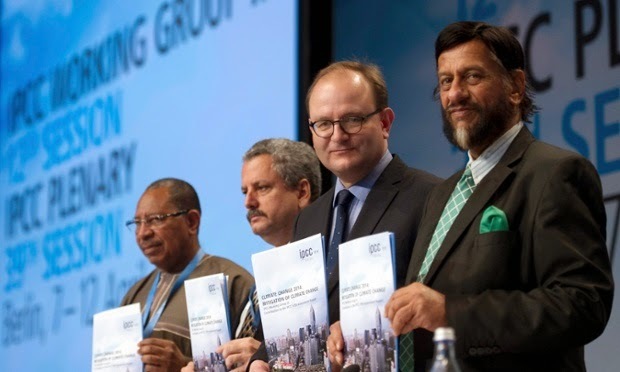 Its Core Writing Team includes authors of the Working Group reports and the members of the IPCC’s Executive Committee. The Synthesis Report comprises a Summary for Policymakers and a longer report. At its recent meeting in October 2014, the Panel approved the Summary for Policymakers line by line, and adopted the Longer Report section by section, to ensure consistency with the underlying Working Group reports. The Synthesis Report Technical Support Unit is hosted by the Netherlands Environmental Assessment Agency (PBL) and supported by the Norwegian Environment Agency.